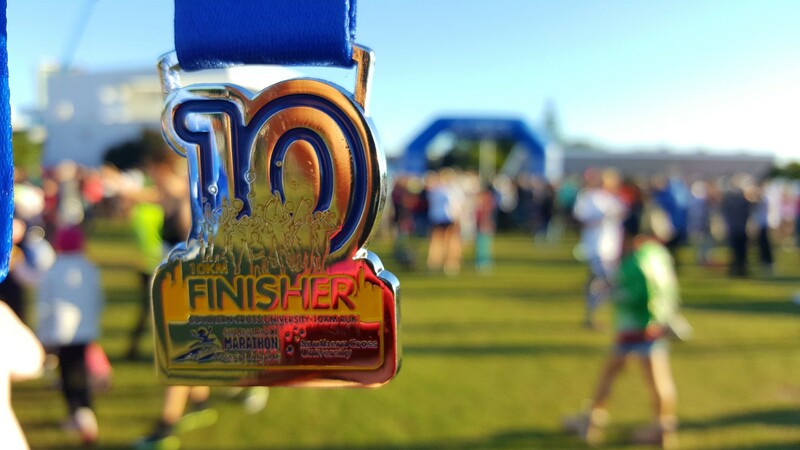 Race Review: Gold Coast Airport Marathon 2016 [10KM] (by 'Pushing Forward') | JustRunLah! 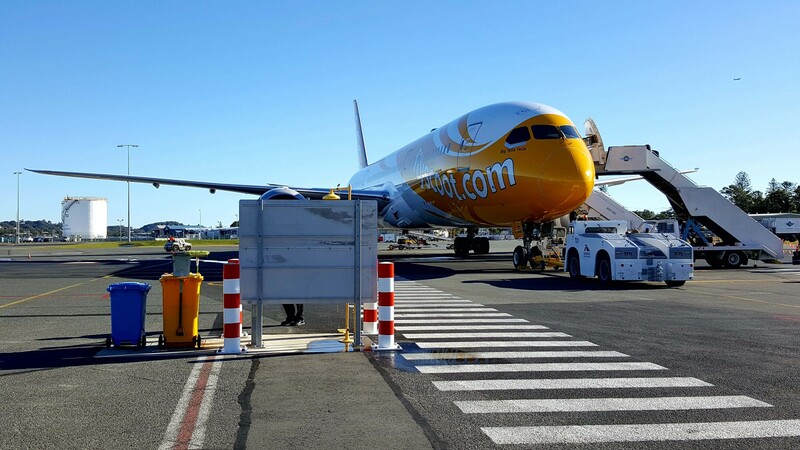 30th June 2016, Thursday night at Singapore Changi Airport suddenly buzzing with runners donning their proud race finisher t-shirts, checking in their luggage and awaiting for their flights to Gold Coast for the renowned Gold Coast Airport Marathon. At the departure hall, a unique experience awaited. Runners were occupied with contests, lucky draws and photos opportunities. Did we hear “PBs” here we come. All on board at 10:30pm and the contingent SCOOTed off. In short, no long waits and well organised. 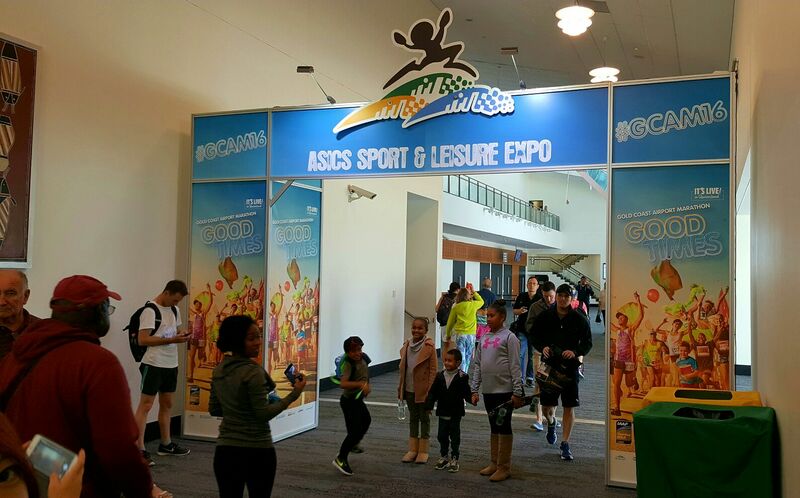 Runners got to find out about the running scenes in Australia through the multiple exhibitors at the expo. From running products, services and events, get introduced to the runners’ world. 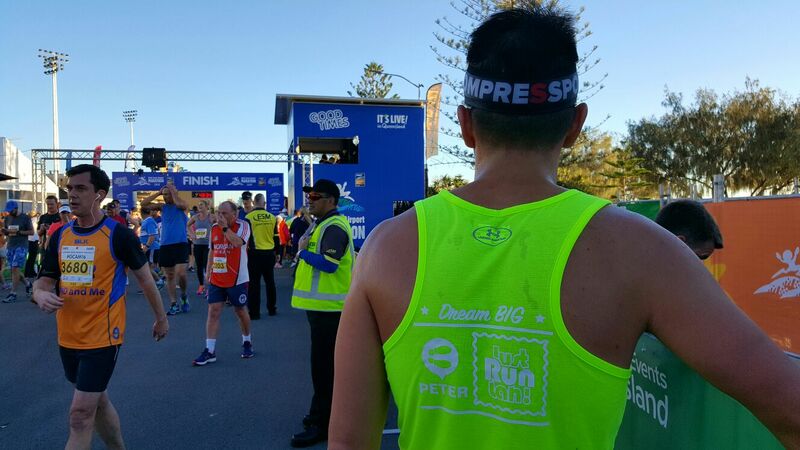 Importantly, an opportunity for runners to gear themselves up for race day with attractive promotional products. Woke up to a cold morning (6 degree Celsius), waited at the start line, it was an experience for any Asian from a tropical country. Wearing a running singlet, I shivered along to the count down. The first 4km was a self-discovery affair for me. I could not really feel my toes and fingers. They were numbed from the initial cold. My strides are unusual. Everything felt weird. However, determined to keep to a steady sub 5 mins pace, I pressed on. There were loud cheers and support constantly lining the side of the roads. Before I knew it. I started to focus on the surroundings and absorb in the wonderful atmosphere. I remembered: What a BEAUTIFUL SUNRISE along the horizon. 20mins in and 4km completed. I regained my usual running form and breathing. I started to push the pace in surge of a targeted sub 50 mins (something I have not achieved for 2016). With an international field of runners consisting of all ages. Accompanied by interesting motivational banners, bells, claps, cheers, live bands and smiles to welcome every runner, every kilometres home to the finish line. You are never bored. Every runner should feel great and inspired. 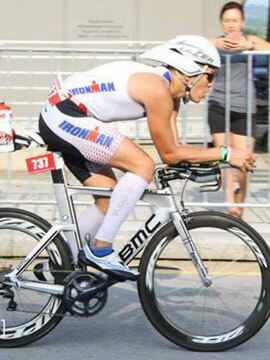 Crossing the line at 48 mins flat. It felt good and accomplished. Could I have pushed harder? Definitely yes! A good looking finisher medal and decent finisher tee for memories added to the positive experience. All work no race make Team JRL restless. We had an awesome trip travelling and racing together. Congratulations to Yvonne (our Account Manager, setting another personal best of 3:26 and thus qualifying for Boston). 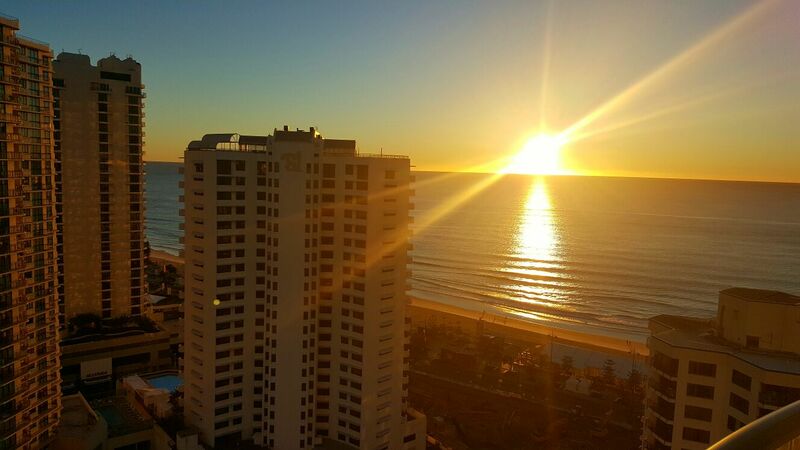 Thank you Queensland Tourism Board for being an exceptional host. 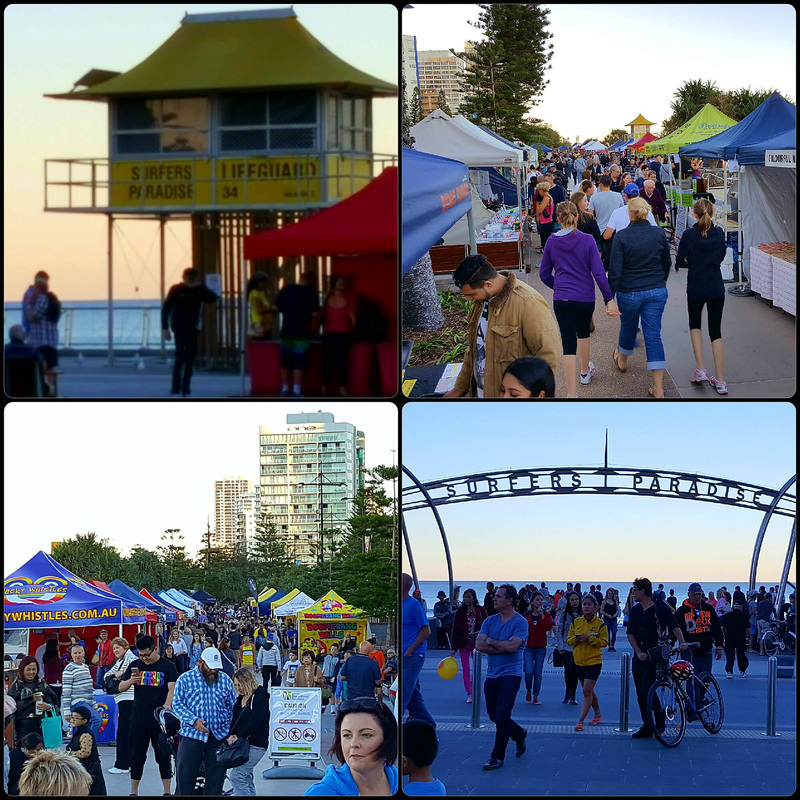 We definitely had a better understanding about the place and why large crowds of international runners gathered at Gold Coast annually. If you need a race to break that plateau in your running journey. Termed by most as “PBed” race, Gold Coast Airport Marathon 2017 may be your answer. Myself, am glad to have a great run coupled by a great holiday to start the second half of 2016. RECHARGED! Click here for more post from Pushing Forward.